What happens when we look at the 19th and even 20th centuries’ predictions about our world of today? We find that much of the past’s science fiction has become science fact, but we also find some fascinating departures that are ripe for exploration. Learn how you can use history’s facts and fictions along with the past’s imagined futures to inspire your retro sci-fi writing today. Want a peak into the fun and creativity that awaits? Duration: 2.0 hour interactive program | Age Range: 9-Adult/Senior | Participants: 4-20 | Cost: Starting at $249 for 2 hours | Requirements: Video Projector with HDMI port and speakers ; 1 table for presenter ; tables with chairs for participants ; 0.5 hour setup and breakdown times ; additional travel charges may apply. Contact for details. New to the steampunk genre or just looking to expand your knowledge of its tropes and conventions? The links below will help. TOR Steampunk Excerpts: Free samples of much of the latest Steampunk writing from TOR. Steampunk 20 Core Titles: Library Journal’s take on the top 20 Steampunk books that form the basis of the genre. The Ultimate Guide to Worldbuilding: How to create fantasy, sci-fi, and real-life worlds from Writer’s Edit. 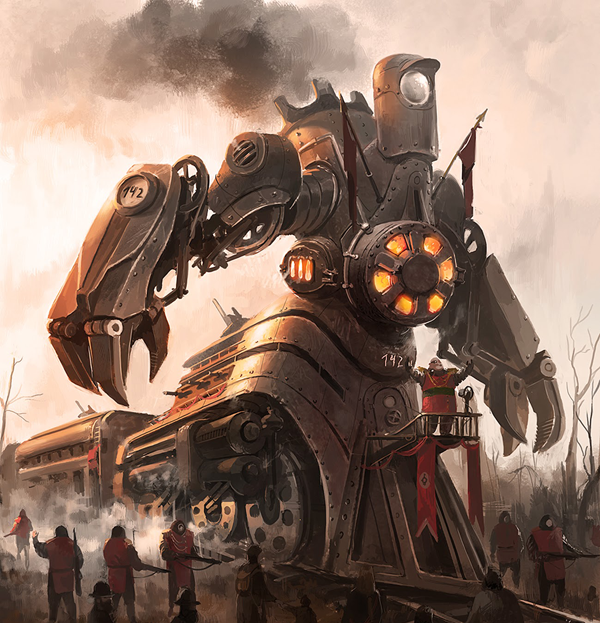 Steampunk Wikia: A good overview of Steampunk ideas and topics, but by no means exhaustive. 5 Elements of Steampunk: Not sure if what you’re writing is Steampunk? Here’s a good gauge. The Victorian Web: One of the 2 most amazing sources on the web for learning about the Victorian era. All Things Victorian: The other of the 2 most amazing sources on the web for learning about Victoriana. STEMpunkED’s Pinterest board: Over 175 resources for exploring the Victorian era and writing Steampunk. It requires an account, but it’s free and so worth it! Need some help getting your sci fi story off the ground or refining your idea? Check out these links that are sure to help you get started and focus on what matters. Defining Science Fiction – from University of Kansas Gunn Center. What Is (and Is Not) Science Fiction – from Richard Treitel. 10 Tips for Generating Killer Science Fiction Story Ideas – from I09. 10 Laws of Good Science Fiction – from Resources for Science Fiction Writers. Sci Fi Story Idea Generator – from SciFi Ideas. Science Fiction Story Starter for Kids – from Scholastic. Writing Science Fiction & Fantasy: A Few Quick Tips – from Writeworld.